What if your development were subject to a section 106 agreement that provided for a commuted sum to be paid towards affordable housing, the precise amount payable to be calculated in accordance with a formula; at the date that the agreement was completed in 2003 the formula would have arrived at a commuted sum of between £500,000 and £700,000 but by the time that it was triggered the basis for calculating the formula had been abolished and so there was no way of arriving at an appropriate figure? Would you go to the High Court and Court of Appeal to seek to resist a claim from the local planning authority that was seeking a sum of £533,058 plus interest? Well that was what the developer did in the Council of the City of York v Trinity One (Leeds) Limited (Court of Appeal, 21 February 2018). Not only that but they pursued a separate section 106BA and BC application and appeal, before the 30 April 2016 deadline for applications under that procedure, to seek to argue that in any event it should be released from the obligation in order to prevent its development from being economically unviable (a process where it is separately currently pursuing a second judicial review). I don’t know the facts beyond what is stated in the Court of Appeal’s judgment but I would suspect that this saga must pretty much have cost the parties in legal fees the sum being fought over and there remains the possibility of the local planning authority losing out on a substantial contribution towards affordable housing. Mediation anyone? Hindsight is of course a wonderful thing but the dispute has arisen from not enough “what if?” questions being asked when the agreement was negotiated in 2003. The relevant clause in the agreement provided that the commuted sum “shall be calculated on the amount of Social Housing Grant necessary to secure affordable rented homes of an equivalent type and size on another site [in a similar residential area in the City of York] which grant for the avoidance of doubt shall be calculated at normal grant levels from regional TCI tables provided on an annual basis by the Housing Corporation or such equivalent grant calculation current at the time and supported by the Housing Corporation”. Some of you may remember the Total Cost Indicator tables that were previously used by the (now defunct) Housing Corporation as a basis for calculating the level of (now defunct) Social Housing Grant. The lawyers negotiating the agreement at least had asked themselves what if TCI tables were no longer provided on an annual basis by the Housing Corporation but beyond that there was little imagination as to how far the affordable housing funding arrangements might change: if TCI tables ceased to be published, the calculation was to be done on the basis of “such equivalent grant calculation current at the time and supported by the Housing Corporation”. Hmm. No “what if social housing grant and/or the Housing Corporation cease to exist“? No provision for the parties to agree another reasonable benchmark, with the ability to go to an independent expert in the event of dispute? The Court of Appeal identified that the issue “turns on the balance between giving effect to the intention of the parties and the language of the contract“. It upheld the ruling of the High Court that the clause was not unenforceable due to the lack of certainty as to how the sum was now to be calculated. The court sets out in some detail the approach to be taken, drawing upon principles articulated by the Supreme Court in Arnold v Britton (Supreme Court, 10 June 2015). ⁃	the intention of the parties was that a commuted sum was to be paid. ⁃	the uncertainty related to quantification rather than the principle of payment. ⁃	The figure that had been arrived at of £533,508 was a “reasonable attempt to reach a figure equivalent to the SHG which would have been payable before 2006“. To a non-lawyer this may all seem obvious, but who wants to go to the Court of Appeal to establish what a provision means, just because not enough “what if” questions weren’t asked at the outset? York Council isn’t yet entirely out of the woods. I mentioned the pending judicial review in relation to the developer’s section 106BC appeal. The Court of Appeal held that if the section 106BC appeal is ultimately successful, it will have retrospective effect notwithstanding that the council’s rights to be paid had already accrued. That seems strange to me, but given that the section 106BA and BC procedure is no longer available, this issue is of limited continuing wider relevance. So please remain patient when your solicitor asks you yet another series of “what if” questions. In another part of our legal world, the European Medicines Agency is reported to be seeking to set aside its lease at Canary Wharf on the basis that Brexit will amount to an event of frustration. It was reported elsewhere that the “what if” question may in fact have been asked and then set on one side. Now that can be even more awkward. This blog post is a belated companion to my 14 October 2017 post, Flawed Drafting: Interpreting Planning Permissions. This year has seen a few cases that will have made developers and decision makers somewhat nervous as to the sheer variety of matters which may give objectors a basis for judicial review, depending of course on the facts in each situation and the reasoning set out for the relevant decision. After, for instance Rainbird (my 12 May 2018 blog post) and People Over Wind (my 20 April 2018 blog post) we now have what I think is the second example of a planning permission being quashed as a result of a local planning authority failing to comply with the Public Sector Equality Duty (“PSED”) within section 149 of the Equality Act 2010. (4) The steps involved in meeting the needs of disabled persons that are different from the needs of persons who are not disabled include, in particular, steps to take account of disabled persons’ disabilities. In R (Buckley) v Bath and North East Somerset Council (Lewis J, 20 June 2018) the High Court quashed, on the basis that the PSED in section 149 had not been complied with, an outline planning permission which the local authority had granted for the development of part of the Foxhill Estate by the demolition of up to 542 dwellings and the provision of up to 700 dwellings. Most of the properties on the estate are owned by a social housing provider, Curo Places Limited, with some properties being leased from other registered social housing providers and others being privately owned. There are currently 414 affordable homes on the site and these would be replaced by 210 affordable homes as part of the redevelopment. The estate sits alongside the Mulberry Park development, for which planning permission had already been granted for up to 700 homes, including 210 affordable homes. Defined categories of tenants on the Foxhill Estate would be given priority for homes within Mulberry Park. ⁃	does the PSED apply at outline planning permission stage? ⁃	were PSED issues dealt with in applying policy H8, which had itself been the subject of an equality impact assessment? ⁃	were the issues considered in sufficient detail in any event to comply with the PSED? ⁃	even if there had been a breach, was it highly likely that the outcome would have been the same even without the breach? The judge held that the duty does apply at outline planning permission stage. The fact that detailed issues, also raising equality considerations, would arise at reserved matters stage did not prevent the duty from arising. It was not enough that policy H8 was “designed to address issues of equality in the context of affordable housing regeneration schemes which, necessarily, would or might include demolition of properties as part of the process of regeneration“. H8 was too general as a policy automatically to ensure that an application complying with policy H8 met the PSED. As it happens, once the judicial review had been brought, Curo abandoned its demolition plans in favour of refurbishment of the estate and so the purpose of the proceedings was only to seek to ensure, as far as residents were concerned, that that the permission did not remain on the record and capable of implementation at a later stage. However, it still seems to me that the decision to quash was by no means inevitable on the facts. The case is certainly a warning to developers and local planning authorities to be scrupulous in taking into account the implications of proposals for those with section 149 protected characteristics. The duty of course also applies equally to Inspectors and the Secretary of State in their decision making, as is demonstrated by what I suspect is the only other example of a planning permission being quashed due to breach of the PSED, namely LDRA Limited and others v Secretary of State (Lang J, 6 May 2016). In that case, a planning permission granted on appeal by an inspector for development on the banks of the River Mersey which would restrict access to the river side. ” Applying the legal principles set out above, I have concluded that the Inspector did not have due regard to the duty under section 149 in this case. In particular, because of the lack of any detailed consideration of the value of the existing amenity to disabled persons (including, for the immobile, being able to sit in the car and look at the river); the lack of any other comparable amenity in the Birkenhead area; the practical difficulties which would be experienced by persons with restricted mobility and their carers in descending and climbing the steep footpath to the riverside; and the apparent failure to consider whether the loss of the car park would not be merely “less convenient” for disabled persons but might well mean that they would be unable to access the riverside at all. If the Inspector was not fully appraised of the relevant information, he was under an obligation to seek the information required. The statutory equality duty was not mentioned in the planning officers’ report, nor in the Inspector’s decision. Of course, the Inspector could comply with the duty without specifically referring to it. But there is no indication in the decision that the Inspector considered the factors set out in section 149, and tellingly there is no reference, express or implied, to the statutory considerations of removing or minimising disadvantages suffered by disabled persons, and taking steps to meet the needs of disabled persons. I consider it is likely that the Inspector overlooked section 149 in reaching his decision, and thus made an error of law”. Of course the PSED does not just arise in the context of the determination of planning applications and appeals but generally in the exercise of functions by public authorities (as well as in the exercise of public functions by non-public bodies). It will be recalled that at first instance (albeit overturned on appeal in Secretary of State v West Berkshire District Council (Court of Appeal, 11 May 2016), Holgate J had quashed the written ministerial statement on minimum affordable housing contribution thresholds and the vacant building credit, partly on the basis of breach of the PSED, given that a disproportionate number of those with protected characteristics were in need of affordable housing, which he did not find had been sufficiently taken into account in the Government’s decision. The Court of Appeal disagreed, holding that a “relatively broad brush approach” in the equality statement accompanying the WMS was sufficient. “Mr Warren’s attack is only on one narrow aspect of s149, where he raises a very particular point about the effect of the SPG on the provision by the Claimants of specialist accommodation for the elderly to buy, and hence on those whose protected characteristics could be affected. That point is not actually grappled with in any of the equalities assessments. But the basis for that in Mr Burgess’ evidence ultimately concerns the financing arrangements of the Claimants. “Due regard” for s149 purposes, does not require all possible ways in which someone may be affected, including in this indirect way, to be considered. Still less does it do so when it has not been raised and explained to the degree necessary. It is a very indirect consequence, and not something which one would expect a planning authority to be aware of unless specifically told. 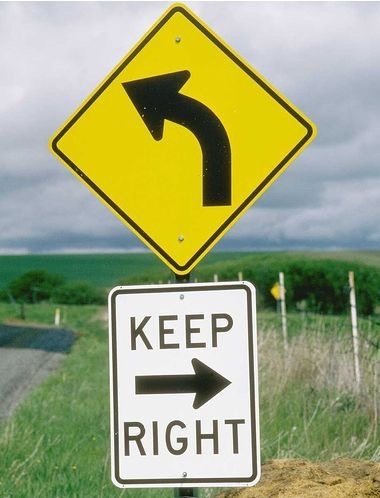 “Due regard” does not require an encyclopaedic examination of all the ways, not by any means obvious, in which an equality effect might be argued to arise. Ms Peters has also explained that she did not accept that the sort of problems which Mr Burgess described were soundly based or significant for the sector. She was entitled to come to that view, and in so doing to conclude that there was no impact of significance to be considered or which had been omitted. Whilst all cases of course turn on their facts, the Buckley judgment (which incidentally does not cite West Berkshire, McCarthy & Stone or indeed LRDA) does appear to take a tougher stance in relation to the need for proper compliance with the PSED (the facts in LRDA are certainly more stark). The lessons must surely be to ensure that developers and decision makers give specific, careful, consideration as to the potential implications of any project for those with section 149 protected characteristics, implications which may not be immediately obvious, and to ensure that the implications are expressly taken into account in decision making. So Who Did Win The SPG JR? Isn’t it heartwarming when the opposing parties in litigation all claim to have won? He said wryly. Ouseley J’s judgment in McCarthy & Stone Retirement Lifestyles Limited, Churchill Retirement Living Limited, Pegasus Life Limited and Renaissance Retirement Limited v Mayor of London was handed down at 10.30 am on 23 May. The Mayor rapidly issued a press release that morning, Judge rules in favour of Mayor’s threshold approach to housing. However, the subsequent press releases by McCarthy & Stone Judge rules in favour of retirement consortium’s judicial review of the Mayor of London’s SPG and by Renaissance Retirement later that day seemed to tell a different story. So that they can be checked for factual, typographical or grammatical errors or ambiguities, Planning Court judgments are usually issued in draft to the parties at least 24 hours ahead of being handed down, under conditions of strict confidentiality. Disclosure beyond the lawyers and parties themselves is a contempt of court and can bring criminal sanctions. However, what that advance sight does mean is that, by the time that the judgment is formally handed down (often with the parties not needing to be present and with submissions about remedies, costs orders and so on dealt with separately by email), the parties have got to grips with the often complex analysis within it and are ready to influence the way in which the narrative appears in traditional and social media, particularly the breaking online news items in the specialist press. Planning law can be difficult in its abstractions and it can take time and strong coffee to arrive at a full understanding of the implications of a judgment (particularly without a familiarity with the evidence presented and submissions made to the court). This blog always includes links to the judgment transcripts because, however detailed the summary, there is no substitute for reading the document itself, but even then it can be hard. All credit to Holgate J in Parkhurst for appending parts of the inspector’s report to provide readers with the necessary context, but that was still a complex judgment (there have been some glib summaries!) and always of course watch for the political spin (Cheshire East Council’s “Cheshire East wins landmark legal judgement for residents in fear of housing sprawl” press release, following its loss in the Supreme Court in Suffolk Coastal , with ultimately an award of costs against it, being a classic of the genre!). Back to the case in hand. So who really did win? 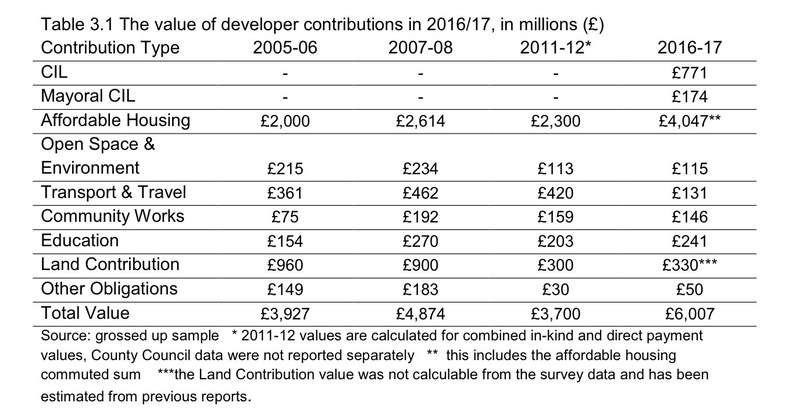 The claimants are all developers of specialist housing for the elderly. 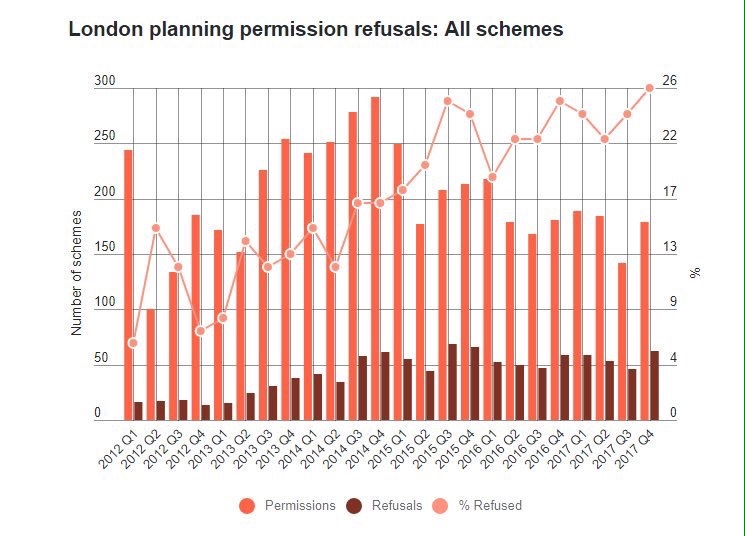 Their main concern with the Mayor’s 2017 affordable housing and viability SPG was that their schemes, usually on small sites, are caught by its requirement for a late stage viability review but were not caught under the adopted London Plan, which refers to the mechanism in the context of schemes which “in whole or in part…are likely to take many years to implement“. The judge made no ruling as to whether these concerns were justified and they were not accepted by the Mayor but this was the claimants’ explanation as to why the issues mattered to them. [I note at this point that the proceedings were brought in the knowledge that the emerging new London Plan would in any event be proposing an equivalent late stage review mechanism. The parameters of that mechanism will no doubt be considered as part of the examination into the draft Plan (rumoured as likely to take place from November 2018 to February 2019)]. 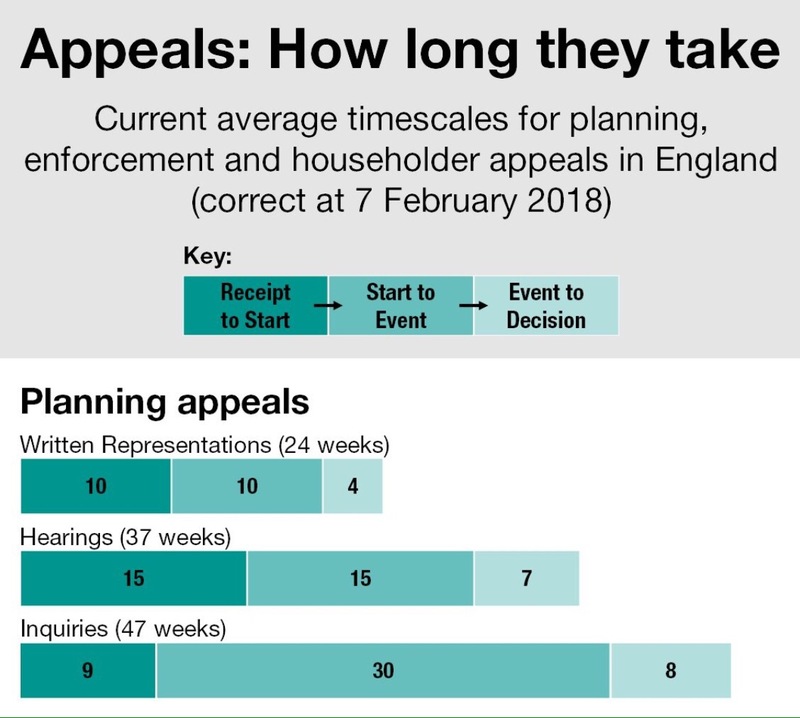 So the claimants’ objective plainly was to challenge that requirement for a late stage review of viability in relation to schemes like theirs which could not be said to be “likely to take many years to implement” (although the claimants sought to argue that it was single phase schemes that should not be caught). Ouseley J rejected grounds 2 and 3 as unarguable and I’ll say no more about them. In relation to ground 1, Rupert Warren QC for the claimants first argued that the SPG contained policies which could only be within the London Plan itself, namely “the 35 percent threshold, the fast-track, and the viability tested route, with three viability appraisals, (initial, early stage and late stage), the deliberately slow-track.”, all of which are indeed now proposed as policy in the draft London Plan. The judge largely sidestepped this issue: “I do not want this judgment to be misread as holding that the SPG, and at this level of detail, must as a matter of law be in the London Plan or alternatively that the SPG cannot lawfully be included in the Plan as policy“. He did not interfere with the Mayor’s decision to treat the matters as appropriate for an SPG. So, inconsistency may well lead to an SPG being unlawful, if the policy-maker did not intend there to be any inconsistency, as was the case with this SPG. So, he found for the claimants on the issue which had led them to bring the claim in the first place. The judgment indicates that he will now “hear submissions on the appropriate remedy, if any, for the inconsistency I have found to exist“. But it seems to me that whether the relevant parts of the SPG are formally quashed or not is neither here nor there – the effect of the ruling is that the Mayor cannot lawfully rely on the SPG in requiring a late stage viability review in relation to the sorts of schemes that they promote. That may be so, but presumably the claimants went into the litigation with their eyes open, given the emerging draft London Plan. This will indeed be a temporary win if they do not persuade the inspector that late stage reviews are not appropriate in relation to smaller, usually single phased, schemes. But that will be an issue to be debated without pre-existing support in the form of the SPG. Who won? The claimants on the point that I suspect they cared most about. The Mayor on the point that I suspect he cared most about: avoiding collateral damage from the proceedings, in the form of any wider adverse ruling on other matters such as the 35% threshold or the validity of the document as a whole. Author simonicityPosted on May 26, 2018 Categories Affordable housing, Housing, Judicial review, London, Older people, ViabilityTags SPG; late stage review1 Comment on So Who Did Win The SPG JR? Parkhurst Road Limited v Secretary of State (Holgate J, 27 April 2018) is a complex analysis by the High Court of issues relating to viability appraisal. Indeed Holgate J concludes an unusual postscript (paragraph 142 onwards) to his judgment by expressing the hope that “the court is not asked in future to look at detailed valuation material as happened in these proceedings“. The Parkhurst Road dispute has indeed been protracted, to say the least. Parkhurst Road Limited had purchased the site in May 2013 for £13.25m from the Ministry of Defence, the site having been allocated by Islington Council as a “site for intensification for residential accommodation to help meet housing need in the Borough“. An initial development proposal for 150 homes, reduced to 116 homes, was refused by Islington in October 2014 and an appeal was dismissed on design grounds in September 2015 following a six day inquiry. There had been dispute about viability issues at that inquiry but the inspector had been satisfied with the appellant’s benchmark land value position of £13.26m, which would have led to a 14% affordable housing commitment (16 homes). He considered that market comparables relied on by PRL showed that the price paid by PRL for the site “was not of a level significantly above a market norm“. Islington had not accepted the inspector’s approach to viability (pointing to a circularity inherent in relying on market evidence of comparable transactions to the extent it may not have been adjusted to reflect the requirements of relevant planning policies) but had not challenged it, given that the appeal had been dismissed in any event. A revised scheme was then brought forward in January 2016, for 96 homes, with the design issues resolved, but with no affordable homes, on the basis that the viability of the scheme could no justify it. Again the application was refused, effectively solely on viability grounds, due to an asserted failure to maximise provision of affordable housing as against the council’s borough wide strategic target of 50%. PRL again appealed and by the time the inquiry closed in March 2017 after nine sitting days, the position was that PRL were arguing for a reduced benchmark land value of £11.9m and proposing that 10% of the homes should be affordable housing. Islington was arguing for a benchmark land value of £6.75m, leaving headroom for 34% affordable housing. The council’s case was based on an approach of relying on a low existing use value with a premium added (EUV+). PRL’s case was based on using market signals from other transactions, disregarding transactions “which are significantly above the market norm“. I summarised the inspector’s decision letter dismissing the appeal in my 24 June 2017 blog post Viability & Affordable Housing: Update. Ground 1 – the inspector erred in concluding that the council’s case was based on the EUV plus approach. Ground 2 – the inspector did not address flaws which had been shown in the council’s valuer’s approach, applied the consultant’s method in a manner which was inconsistent with his understanding of it and failed to recognise substantial changes in the council’s case by the time the end of the inquiry was reached. Ground 3 – criticisms of the way in which the inspector treated certain comparable transactions when arriving at his decision to accept the council’s benchmark land value figure. Holgate J is not a judge to be cowed by disputes involving matters of valuation. He is after all President of the Lands Chamber in the Upper Tribunal and Planning Liaison Judge (ie basically the lead Planning Court judge). He summarises Government policy on viability, quoting from paragraph 173 of the NPPF (with an interesting reference to compulsory purchase compensation principles when referring to the concept of a “willing seller”) and paragraphs 1, 19, 23 and 24 of the viability section of the Government’s planning practice guidance, asserts that the guidance places the onus on the developer to demonstrate non-viability, before summarising relevant local policies. He addresses the RICS professional guidance, “Financial Viability In Planning“, in paragraphs 50 to 58, without criticism – noting for instance the fact that the guidance note discourages reliance upon EUV+ “as the sole basis for arriving at site value, because the uplift is an arbitrary number and the method does not reflect the workings of the market. Furthermore, the EUV Plus method is not based upon the value of the land if the redevelopment involves a different land use (eg. an office building redeveloped for a residential scheme)”. The Secretary of State and Islington resisted the grounds but submitted that, in any event, PRL’s criticisms “do not vitiate the essential conclusion of the inspector that, contrary to local policy, the appeal proposal failed to provide “the maximum reasonable amount of affordable housing“”. After a lengthy analysis of the decision letter as well as the arguments that had been put forward by the parties, the judge rejected grounds 1 and 3. He accepted in part PRL’s arguments in relation to ground 2, there had indeed been flaws in the council’s valuer’s approach which were not addressed properly by the inspector. However that error, in the judge’s view, did not vitiate the basis upon which the inspector rejected PRL’s case that a 10% affordable housing provision represented the maximum reasonable level and was not therefore a basis for quashing the decision. The claim was accordingly dismissed. ⁃	The importance of overcoming uncertainty as to how viability assessment should properly be carried out, which is “making it difficult for practitioners and participants in the planning process to predict the likely outcome and to plan accordingly. It also leads to a proliferation of litigation“. ⁃	The tension that has arisen in the application of paragraph 23 of the viability passages in the PPG, which should mean reflecting and not bucking relevant planning policies when arriving at a benchmark land value, but on the other hand ensuring that the application of those policies should be informed by and not bucking an analysis of market evidence. ⁃	Data on comparables should be adjusted properly but on the other hand there are drawbacks in a simple requirement to conform to EUV+, by way of formulaic application, especially via local authority documents which have not been subjected to independent statutory examination prior to adoption. That would indeed be welcome. [Colleagues at Town acted for PRL but these are, as always, my personal views]. Author simonicityPosted on April 27, 2018 April 28, 2018 Categories Affordable housing, Housing, London, NPPF, ViabilityTags EUV+; RICSLeave a comment on Pointers From Parkhurst? Developer Contributions, CIL, Viability: Are We Nearly There Yet? On Friday 9 March 2018 Draft Planning Practice Guidance: Draft updates to planning guidance which will form part of the Government’s online Planning Practice Guidance was published. The draft revised NPPF itself says very little on developer contributions, CIL and viability. “The reforms set out in this document could provide a springboard for going further, and the Government will continue to explore options to create a clearer and more robust developer contribution system that really delivers for prospective homeowners and communities accommodating new development. One option could be for developer contributions [towards affordable housing as well as infrastructure] to be set nationally and made non negotiable. We recognise that we will need to engage and consult more widely on any new developer contribution system and provide appropriate transitions. This would allow developers to take account of reforms and reflect the contributions as they secure sites for development. First step in a conversation?? – a concern that they may “only have captured a small proportion of the increase in value” that has occurred over the time period covered by the University of Liverpool research report (but, aside from where the scale of contributions has been depressed from a policy compliant position due to lack of viability, why is this relevant? Planning obligations should be about necessary mitigation of the impacts from development, not about capture of uplifts in land value ). – lack of support for cross boundary planning. I would prefer to see the pooling restriction dropped across the board. If authorities choose not to adopt a CIL charging schedule but to rely on section 106 planning obligations to make contributions towards infrastructure then why not let them, subject to the usual Regulation 122 test? I thought we wanted a simpler system? There are sensible proposals for summaries of section 106 agreements to be provided in standard form (although we do not yet have the template), so that information as to planning obligations can be more easily made available to the public, collated and monitored. “Some complex sites for development may have multiple existing uses. This could create significant additional complexity in assessing how different CIL rates should be apportioned within a site, if a charging authority has chosen to set rates based on the existing use of land. One wonders how this would play out in practice. It seems that the requirement for regulation 123 lists (of the infrastructure projects or types of infrastructure which the authority intends to fund via CIL – and which therefore cannot be secured via section 106) is to be removed, which is of concern since regulation 123 lists (the use of which should be tightened rather than loosened) serve at least some degree of protection for developers from being double-charged. The Government is proposing to address one of the most draconian aspects of the CIL process – the current absolute requirement for a commencement notice to be served ahead of commencement of development, if exemptions and the right to make phased payments (where allowed by the authority) are not to be lost, is to be replaced by a two months’ grace period. However, this does not avoid all current problems as any exemptions would still need to be secured prior to commencement. A specific problem as to the application of abatement provisions to pre-CIL phased planning permissions is to be fixed. These flaws in the legislation continue to emerge, a function of the complexity and artificiality of the whole edifice, which the panel’s proposals would significantly have reduced. In the meantime, we are some way away from actual improvements to the system we are all grappling with day by day, with no firm timescale for the next set of amending Regulations. “It is important that local authorities are sufficiently flexible to prevent planned development being stalled in the context of significant changes in costs and values that occur after a plan is adopted. Including policies in plans that set out when and how review mechanisms may be included in section 106 agreements will help to provide more certainty through economic cycles. – Review mechanisms are appropriate for “large or multi phased development” in contrast to the ten homes threshold in draft London Plan policy H6 (which threshold is surely too low). – The document advises that in arriving at a benchmark land value, the EUV+ approach (ie existing use value plus premium) should be used. The London Mayor will have been pleased to see that but will then have choked on his cornflakes when the Government’s definition of EUV+ is set out. According to the Government, EUV is not only “the value of the land in its existing use” (reflecting the GLA approach) but also “the right to implement any development for which there are extant planning consents, including realistic deemed consents, but without regard to other possible uses that require planning consent, technical consent or unrealistic permitted development” (which is more like the GLA’s approach to Alternative Use Value!). “When undertaking any viability assessment, an appropriate minimum premium to the landowner can be established by looking at data from comparable sites of the same site type that have recently been granted planning consent in accordance with relevant policies. The EUV of those comparable sites should then be established. I am struggling to interpret the document as tightening the methodologies that are currently followed, or indeed introducing any material standardisation of approach. The EUV+ position is covered in more detail by George Venning in an excellent blog post. More fundamentally, I am sceptical that viability-testing allocations at plan-making stage is going to deliver. At that stage the work is inevitably broad-brush, based on typologies rather than site specific factors, often without the detailed input at that stage of a development team such that values and costs can be properly interrogated and without an understanding of any public sector funding that may be available. If the approach did actually deliver, significantly reducing policy requirements, so much the better, but that isn’t going to happen without viability arguments swamping the current, already swamped, local plan examination process. Indeed, as was always going to be the case with the understandable drive towards greater transparency, the process is becoming increasingly theoretical (think retail impact assessment) and further away from developers opening their books to demonstrate what the commercial tipping point for them is in reality, given business models, funding arrangements, actual projected costs (save for land), and actual projected values. “Information used in viability assessment is not usually specific to that developer and thereby need not contain commercially sensitive data“. Topically, this week, on 6 and 7 March, Holgate J heard Parkhurst Road Limited’s challenge to the Parkhurst Road decision letter that I referred to in my 24 June 2017 blog post Viability & Affordable Housing: Update. The challenge turns on the inspector’s conclusions on viability. Judgment is reserved. We also should watch out for Holgate J’s hearing on 1 and 2 May of McCarthy and Stone & others v Mayor of London, the judicial review you will recall that various retirement living companies have brought of the Mayor of London’s affordable housing and viability SPG. The great thing about about writing a planning law blog is that the well never runs dry, that’s for sure. (Nothing else is). Author simonicityPosted on March 10, 2018 March 10, 2018 Categories Affordable housing, CIL, Housing, Land value capture, London, NPPF, Section 106, ViabilityTags EUV+; Developer's profit; Parkhurst Road7 Comments on Developer Contributions, CIL, Viability: Are We Nearly There Yet? “Today the Prime Minister chaired the first meeting of the Housing Implementation Taskforce at Downing Street. She stressed the integral role all Government departments have in helping to fix the broken housing market and deliver 300,000 additional homes by the mid-2020s. The taskforce discussed the steps Government has already taken, including further investment at the Budget, planning reform, releasing land faster, the Housing White Paper and building more affordable housing. They emphasised the key role of Homes England in driving forward change, and also focused on the supply of new housing, public sector land sales, land banking, house-building skills and building the infrastructure needed for new housing developments. A significant proportion of the country’s homes will need to come forward in London – the Mayor of London’s draft London Plan sets a target of around 65,000 homes a year, a significant increase from the previous plan figure of 42,000. These figures are only going to be achieved with a large degree of consensus between central government, the Mayor, boroughs and local communities. If I were prime minister (perish the thought) I would be worrying that in many areas, but particularly in London, there is increasing “spite or anger” (in the words of Mr Dylan). Inevitably, in any year with borough elections, planning becomes politicised but this year, with the repercussions of the Grenfell tragedy, the predictions of Conservative council losses and the internal battles within the Labour party, this is particularly so. EG has tracked the number of refusals in London up to the end of 2017. It makes for uncomfortable reading and the position will only be worsening. Anecdotally, many developers and authorities are keeping politically controversial decisions away from committees until the other side of the 3 May local government elections, even though the formal purdah rules, summarised in a useful Local Government Association guide, largely allow for statutory processes to carry on. The politically charged atmosphere in many boroughs isn’t just leading to refusals of permission against officers’ recommendations – leading in turn to officers having to spend time defending appeals, with inevitable repercussions for capacity to cope with other applications in the system – but it’s impeding the work of boroughs that seek to achieve housing development, particularly in relation to estate regeneration schemes, without which those London numbers are not going to be met. Progress on the Haringey Development Vehicle initiative, brought forward by Haringey Council with private sector joint venture partner Lendlease, has now been halted by leader councillor Claire Kober, with no further decisions to be taken before purdah commences on 26 March until after the 3 May local election. Given that, following sustained pressure over the project, she announced on 30 January that she will not be standing for re-election, its long term future may be in doubt. This was a strategy to bring about widespread development on sites in the council’s ownership, including the proposed delivery of up to 6,400 homes. The HDV would in due course formulate development proposals for sites and make planning applications, applications which would be assessed as against planning policy, with the power for the Mayor to intervene in the usual way, but plainly in Haringey even the nature of the vehicle to be used to bring about development, presumably because of the role to be played in it by a private sector developer, was seen by objectors as unacceptable. There is room for debate in a democracy as to the form that regeneration should take and the extent and types of affordable housing to be provided but if the HDV is not to happen, what will? In current political and financial reality, my fear is that an opportunity to increase housing at scale, including affordable housing, will be lost. It is vital that affordable housing, with tenures to meet needs, is provided. Will the collapse of the HDV render this more or less likely? What’s the alternative? What’s the objectors’ plan? To continue this position until a 2022 general election? Whilst the politics played out, unpleasantly according to Councillor Kober’s account, Ouseley J was writing his judgment in Peters v London Borough of Haringey. This was a crowdfunded judicial review that had been brought on behalf of campaign group Stop HDV, seeking to establish that the council had acted outside its powers in proceeding with the project. The hearing had taken place over two days in October 2017 but Ouseley J’s judgment, over 50 pages long, was only handed down on 8 February 2018. In any event, the judge considered that the challenge in relation to this ground and others (lack of consultation, Equality Act) had been brought out of time. I understand that the claimant is likely to seek permission to appeal. In another part of London, progress is still slow on another regeneration project that has been to the High Court and back, the Aylesbury Estate. I covered in my blog post Regeneration X: Failed CPOs the decision of the Secretary of State to decline to confirm Southwark Council’s CPO based on his concern as to the effects of acquisition on leaseholders, a decision which was subsequently quashed by consent following a challenge brought by the council. A second inquiry that has been taking place into the order was adjourned on 31 January 2018 to resume for a further two weeks on 17 April. Judging from a ruling by the inspector prohibiting further filming at the inquiry it has been a lively event so far. Inevitably, whatever the gains in housing numbers to be achieved (and indeed the affordable housing of all tenures to be provided), there will be legitimately held concerns on the part of residents directly affected. The Mayor announced on 2 February 2018 “mandatory ballots of residents for schemes where any demolition is planned as a strict condition of his funding“. Meanwhile, elsewhere in Southwark, Delancey has continued to face resistance in relation to its proposed redevelopment of the Elephant and Castle centre. At a committee meeting on 16 January, members overturned an officer’s recommendation to grant planning permission. A final decision has now been deferred, following a revised offer as to affordable housing and other commitments reportedly made by the developer. Delivery of the right schemes, in a way which maximises the potential for affordable housing and the wide range of other requirements set out in the draft London Plan will not be easy. How will land owners and developers respond? Will the Mayor continue to intervene to direct refusal where the affordable housing proportion offered is considered to be less than the maximum reasonably achievable? Will he use his call-in powers where boroughs unreasonably withhold permission for schemes which would deliver homes at scale? The Government had proposed back in 2015 reducing the threshold above which the Mayor could intervene on planning applications from 150 to 50 homes but unless the Mayor is seen as using his existing powers regularly and proactively to increase housing delivery, this may remain on the Government’s to-do list. The housing numbers that the Government is targeting will not be achieved without an active and engaged private sector. What if land owners choose not to release their land? There is a remarkable degree of consensus between the Conservative and Labour parties as to the desirability of using compulsory purchase powers. I covered the Conservative party’s manifesto thinking in my blog post Money For Nothing? CPO Compensation Reform, Land Value Capture (20 May 2017), in which I tried to set out some of the complexities arising from any proposal to change CPO compensation principles so as to strip out planning “hope” value (as opposed to just being smarter about using CPO powers in a way that hope values haven’t arisen in the first place). There was much publicity this month arising from an announcement from Labour shadow minister John Healey reported in the Guardian on 1 February that “Labour is considering forcing landowners to give up sites for a fraction of their current price in an effort to slash the cost of council house building“. “Landowners currently sell at a price that factors in the dramatic increase in value when planning consent is granted. It means a hectare of agricultural land worth around £20,000 can sell for closer to £2m if it is zoned for housing. Labour believes this is slowing down housebuilding by dramatically increasing costs. It is planning a new English Sovereign Land Trust with powers to buy sites at closer to the lower price. I haven’t seen any more detailed analysis of the proposal or indeed any fleshing out of the idea of an English Sovereign Land Trust. Personally I would prefer to see Homes England grasp the nettle, with their existing wide compulsory purchase powers, to acquire sites at a scale which would be difficult to achieve without compulsory purchase, thereby minimising “no scheme world” values. Labour’s English Sovereign Land Trust concept sounds very rural in concept and not a substitute for facing up to difficult challenges about maximising use in cities of public sector land, about densifying suburbs and about effective approaches to estate renewal. And given the supposed cross-party support for increasing housing delivery, wouldn’t it be good to try to depoliticise the process where we can, rather than demonise the participants whether from public or private sector? I’ve previously blogged about the multiplicity of reviews being undertaken, to which list can now be added the CLG Commons Select Committee’s land value capture inquiry, for which the deadline for evidence is 2 March 2018). What scope can we find for consensus, about priorities, about the respective roles of the public and private sector, about funding of social housing and about the appropriate use of compulsory purchase?